Q1: Firstly, congratulations on your recent appointment as Eskom CFO. I guess this has been something of a baptism of fire. Are you relishing the prospect of turning Eskom around financially, or has this new position been something of a poisoned chalice? Q2: Philosophically, are you from the school of thought that sees the developmental needs of South Africa best served by Eskom as a vertically integrated, state-owned monopoly, or do you believe Eskom needs to be unbundled and restructured to better serve the country? Q3: Unbundling and restructuring massive businesses like Eskom is notoriously expensive, and likewise the decommissioning and rehabilitation costs of old coal mines and power plant. What could such costs amount to, and has anything been budgeted for this in the MYPD4 application? Firstly, I agree with you that decommissioning and rehabilitation costs can be huge. Eskom has provided for power station restoration of about R30-billion and mine related closure rehabilitation of about R13-billion at September 2018. We account for this in terms of our financial statements. Whatever provisions we have made for accounting purposes, based on our expert advice, has been incorporated in our MYPD4 revenue application. But I would like to add that we have not made the decision to decommission any generation plant at this point in time. The costs of unbundling and restructuring Eskom are still to be determined. Q4: On 20 November 2018, you forecast a loss of R15-billion for FY 2018/19. Last week this loss was revised to R20,2-billion, with a further R19,7-billion loss forecast for FY 2019/20, even assuming Eskom gets the 17,1% increase applied for, plus the 4,41% RCA award already granted for 1 April 2019. What’s going on? Correct – at the mid-term results presentation we targeted a loss of R15-billion by year end. However, subsequent to that, generation performance deteriorated significantly. To address the restoration through the 9-point plan, and to balance supply and demand, we do see an increased use of more expensive supply options. In particular, the increased use of OCGTs, with more expensive coal coming through, and increased maintenance, are the main contributors to the R15-billion loss becoming R20,2-billion. Another contributing factor is that, for accounting purposes, we now have to treat doubtful debt on a cash basis. So the escalation in arrear debt of municipal and Soweto customers is also reflected as a reduction in the revenue that we recognise. Regarding FY 2019/2020, we have put in the forecast costs for next year, and at the tariff increase applied for, this gives a bottom-line loss of a further R19,7-billion. But to clarify, the R19,7-billion loss was based on the MYPD4 application alone, and did not include the R7,8-billion (4,41%) for the first year of the RCA claw-back already granted by Nersa for FY 2019/20. This will reduce the R19,7-billion loss accordingly. Q5: The idea of a R100-billion treasury bailout has been floated by Eskom. How do lenders view this, and is this really enough? Some financial analysts have mentioned figures of much higher bailouts required. How much more may be needed? From an Eskom turnaround plan perspective, we focussed on three elements – our own costs, the tariffs and revenue, and finally, the balance sheet optimisation. This led to Eskom’s proposal to move R100-billion of debt from our balance sheet to the sovereign. The R100-billion would make sense assuming that the tariffs Eskom has applied for, and the cost reductions we’ve put into our forecast, materialise. You do have differences of opinion. Some investors and lenders support the proposal, some don’t. 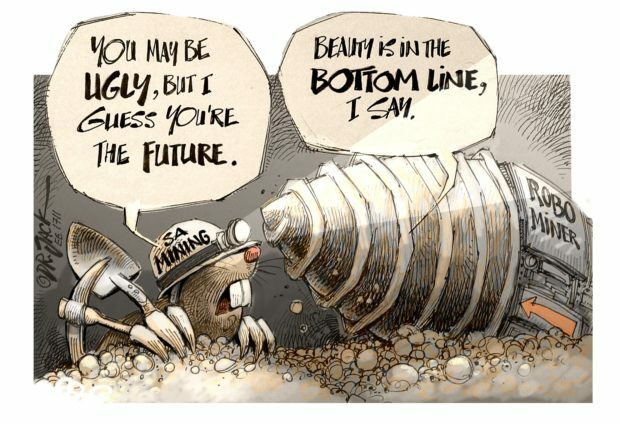 What is positive, from our perspective, is that the rating agencies see that this proposal could be a “win-win” for both Eskom and the sovereign. But ultimately, what it comes down to is that if the tariffs granted are much lower than that requested, the amount of support needed would have to increase accordingly to balance the cash flows. Q6: With the previous R83-billion bailout already wiped out, how can government and the treasury be sure that if they provide a further R100-billion bailout now, this will not happen again in a few years’ time? Is there any end to this? I think, for me, the key to ensuring sustainability in the longer term is that, through the revenue mechanism, Eskom must be efficient on its cost base. 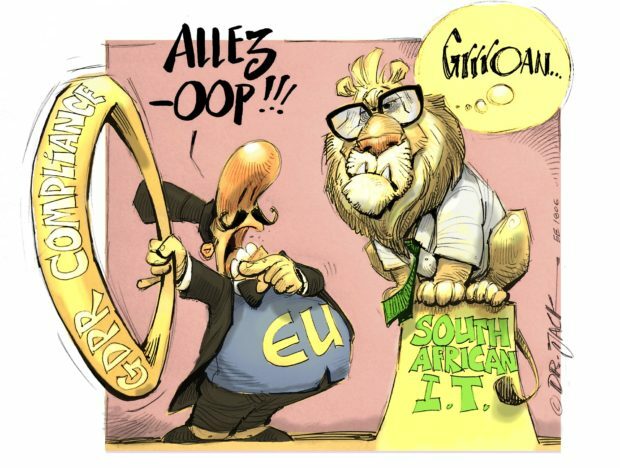 But if the tariffs do not allow for the recovery of those operating costs, as well as providing the ability to service the debt commitments going forward, it will just be a repeat of the R83-billion, and in a few years’ time, say three to five years, we could find ourselves in a similar position. So I think that is the trick to ensure the sustainability of Eskom. Q7: If, as you have said, Eskom is not generating enough cash flow annually to service debt principle and interest payments, how will it survive? What will Eskom’s debt service coverage ratio be (i.e. net operating income / debt service costs) for FY 2018/19? At the moment, based on our December 2018 projections, we are forecasting our debt service cover ratio to be 0,47, which is less than half of where it should be to meet our commitments. So as I have said, as we approach year-end Eskom is effectively using one credit card to pay back the other credit card, which is never sustainable under any circumstances. Q8: If Eskom does not get the 17,1%, 15,4% and 15,5% MYPD4 tariff increases it wants for the next three years, what are the implications for Eskom? For example, if Nersa only allows 10% for three years, what will be the financial hole to be plugged through increased debt and equity, and decreased expenses? On average, Eskom is looking at a revenue requirement of about R200-billion per annum. So every 1% of that in terms of price increase not granted would give a shortfall of about R2-billion. Thus a drop from 17,1% applied for, to 10% for the first year of MYPD4, would increase the funding gap by about R15-billion for that year alone. But this gets compounded over the next three years. Ultimately we can manage cash-flows in the short term by deferring some of our capital expenditure. But it would get to a point where Eskom cannot meet its debt repayments. As a significant portion of our debt is guaranteed, this would eventually lead to us going to government cap in hand for them to step into our shoes and take over those commitments. I think it’s important to highlight that this doesn’t mean the full R240-billion of guaranteed debt will be required to be repaid immediately. Government would just service those terms and conditions going forward. It would, however, result in a potential debt restructuring event that we would have to address with all the lenders. Q9: Has Eskom had any financial commitments from government yet to support its balance sheet, for example through additional government guarantees, further equity injections or taking over some of Eskom’s debt burden? If so, how much? The president did mention that further details of the balance sheet support will come through the minister of finance’s budget speech later this month. But we must acknowledge that the government has clearly said they will support us through the R350-billion of guarantees, and as you mentioned earlier, the R83-billion equity injection. At the end of the day, if Eskom cannot supply the electricity needs of the country, we understand the impact on the economic growth aspirations of the president and the country. So we have to resolve the situation. We have no other option. Q10: In the year ahead, and in the three-year MYPD4 period, to what extent will Eskom rely on international bond issues and development finance institution (DFI) funding, given how much money is flowing into emerging markets? How much are you relying on local ZAR bond issuance, and is there appetite for this? 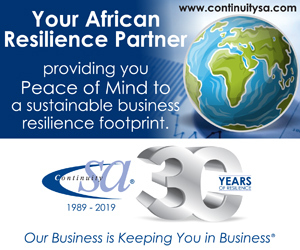 Q11: Can you indicate and comment in general terms on the World Bank, DBSA, China Development Bank and other DFI loan covenants, and what may be considered a breech, such as failure to meet required going concern status, debt service coverage ratio and/or other metrics? Q12: What is the total municipal arrear debt, including Soweto, and by how much is this growing per month? How will this bleeding be stopped, and how will electricity theft and non-payment be impacted by the tariff increases Eskom wants? Municipal arrear debt currently amounts to R18-billion, and is growing at about R450-million per month, while Soweto arrear debt adds a further R17-billion, growing at about R50-million per month. Thus in total, arrear debt is growing by R500-million per month. There is an inter-ministerial task team looking at this, where Eskom participated. We expect the minister to put proposals forward to cabinet to address the situation. Eskom has tried, through its processes, to interdict and cut off non-paying municipalities. However what we find is that we are being interdicted by the paying customers within the municipalities, and many of the court judgements have then ruled that paying customers within municipal boundaries can pay Eskom directly. With regard to Soweto, we’ve looked at technology and the rolling out of prepayment electricity meters, but have experienced resistance from the community. With Eskom’s financial position and the low margins on our product, and the price of electricity, if we do not get paid for what we do supply, this just aggravates our financial and cash flow position further. Q13: What is Eskom doing, or going to do, to cut the biggest cost items on its income statement – coal and staff remuneration – bearing in mind the vested interests of the coal miners, high international coal prices, and the militancy of organised labour? Eskom spends about R55-billion on coal per annum. We know that the cheapest coal is that from dedicated mines. So Eskom has reinstituted a strategy of investment in cost-plus mines. This eliminates transport costs and gives a much cheaper landed price to the consumer via the tariffs. But this does not happen overnight, and will take a few years for the benefits to come through. On average we’ve set aside about R2-billion per annum for this capital investment in cost-plus mines over the next five years. With regard to staff costs, we acknowledge that we have to address this. We’ve started by giving no bonuses or salary increases to senior managers, while for middle-managers there was just an inflationary salary adjustment with no bonuses. In terms of the staff complement, we need to look to reduce this over the next three to five years to come in line with an efficient base. We must not forget that finance costs are also significant, and must be in line with our proposals for the balance sheet optimisation. A focus on our capital expenditure must ensure we do the right capex spend, where there is value-add from an operational and financial perspective. With regard to organised labour, as the president said, we will have to engage with the leaderships to ensure they understand the situation, and that we all have to contribute in taking some of the pain to balance this equation. Q14: What do you think needs to change, both structurally and in Eskom’s business model, to shift to a more sustainable path? 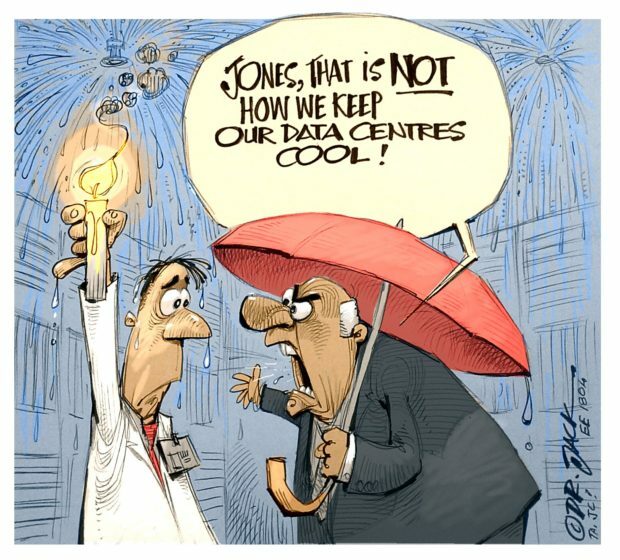 Is the internal functional ring-fencing that you proposed in December 2018 sufficient, or should Eskom be unbundled and restructured with greater urgency? Q15: Does Eskom recognise and take responsibility for what is undoubtedly the biggest ever financial calamity faced by government, and would you agree with that assessment?